[PDF] Commanders and Command in the Roman Republic and Early Empire (Studies in the History of Greece and Rome) | Free eBooks Download - EBOOKEE! 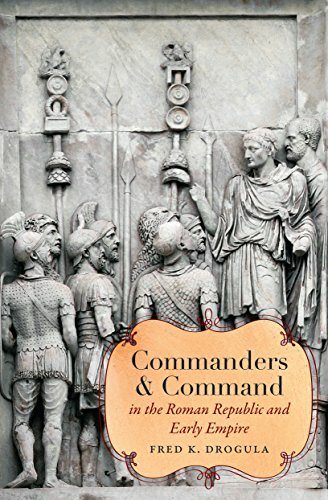 Description: In this work, Fred Drogula studies the development of Roman provincial command using the terms and concepts of the Romans themselves as reference points. Beginning in the earliest years of the republic, Drogula argues, provincial command was not a uniform concept fixed in positive law but rather a dynamic set of ideas shaped by traditional practice. Therefore, as the Roman state grew, concepts of authority, control over territory, and military power underwent continual transformation. This adaptability was a tremendous resource for the Romans since it enabled them to respond to new military challenges in effective ways. But it was also a source of conflict over the roles and definitions of power. The rise of popular politics in the late republic enabled men like Pompey and Caesar to use their considerable influence to manipulate the flexible traditions of military command for their own advantage. Later, Augustus used nominal provincial commands to appease the senate even as he concentrated military and governing power under his own control by claiming supreme rule. In doing so, he laid the groundwork for the early empire's rules of command. No comments for "[PDF] Commanders and Command in the Roman Republic and Early Empire (Studies in the History of Greece and Rome)".